Check out our new ONLINE Star Newsletter! Don't miss all of the interesting stories and information from beginning to end! Paper copies are available at church. Youth and adult mission trip to Haiti in July. There is an old assumption in the life of the church that says “nothing happens in church over the summer.” I am happy to tell you that is absolutely not true in our community. 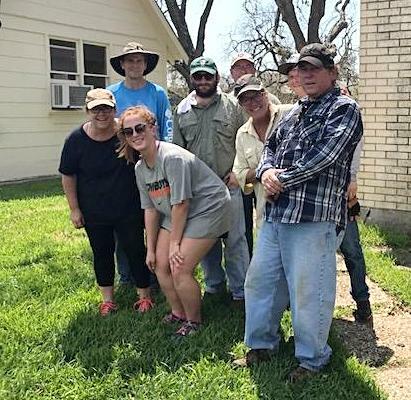 A group from St. David's traveled to Refugio, TX to assist with Harvey clean-up efforts. 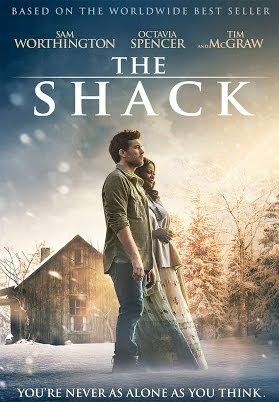 There is an old assumption in the life of the church that says “nothing happens in church over the summer.” I am happy to tell you that is absolutely not true in our community. Summer at St. David’s brought two weeks of Summer Fun in the school, pool Bible studies for youth, many of our youth attended Camp Capers, families went to Family Camp at Mustang Island Conference Center, and a group from St. David's traveled for our third annual retreat to Duncan Park in the mountains of Colorado. We also had a youth mission trip to the Rio Grande Valley, and an amazing youth and adult mission trip to Haiti. We had another wonderful Vacation Bible School with an outreach component of creating school supply kits for the children at Wilshire Elementary and Good Samaritan Community Services. And the ministry continues! 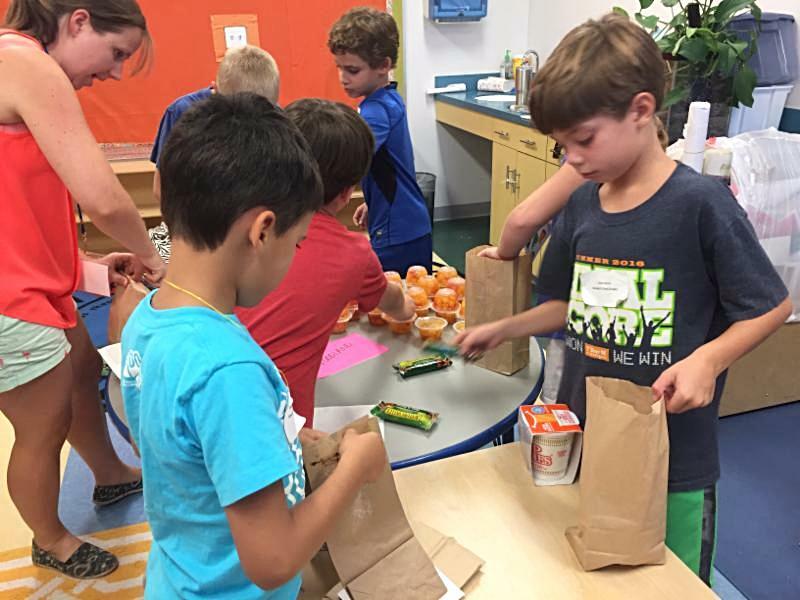 As Hurricane Harvey wreaked havoc and destruction on the coast of Texas and beyond, this church and school community did not hesitate to open its doors to whomever might need shelter and food. Teams have gone to Refugio and Woodsboro to help with clean-up efforts and will continue to do so to support our brothers and sisters. 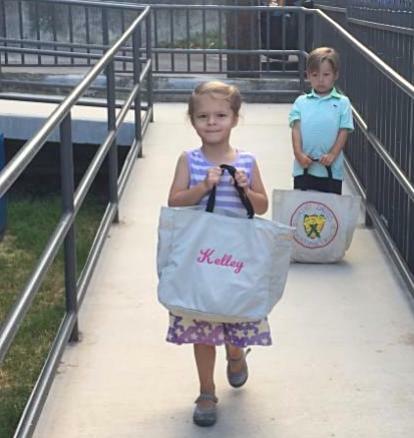 The church and school and community made approximately 1,500+ disaster relief kits. I am humbled by the generous outpouring of love and support by this community and the deep understanding that we are part of something bigger than ourselves: the Body of Christ. This article also calls me to look ahead to this fall. 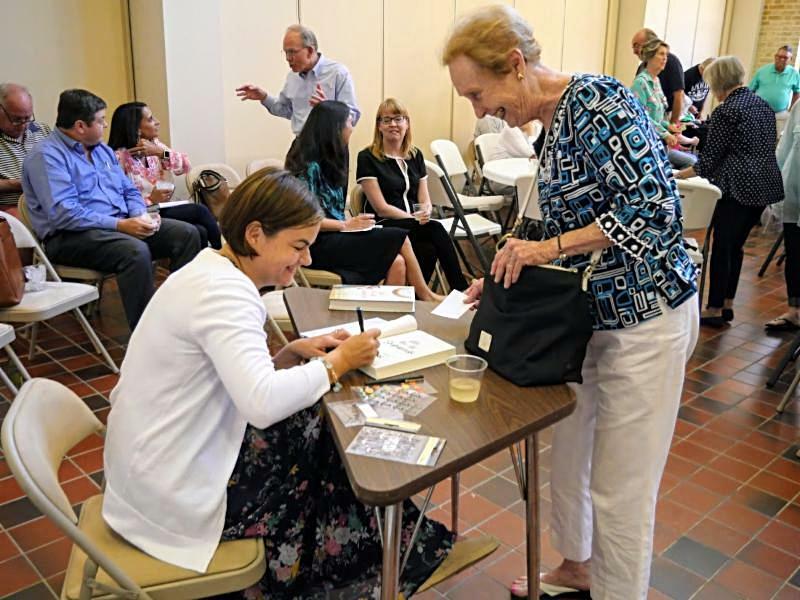 Our Ministry Fest on August 20 th was a great gathering and gave people the opportunity to sign up to serve in ministries both inside and outside this campus. It is not too late to sign up if you were not able to attend (click here for resources). 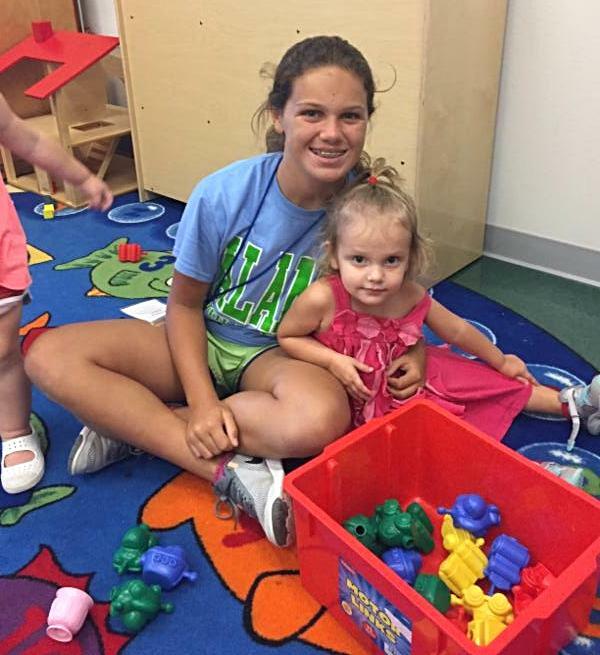 St. David’s School and the Bright Beginnings infant program are off to a full and fun year. 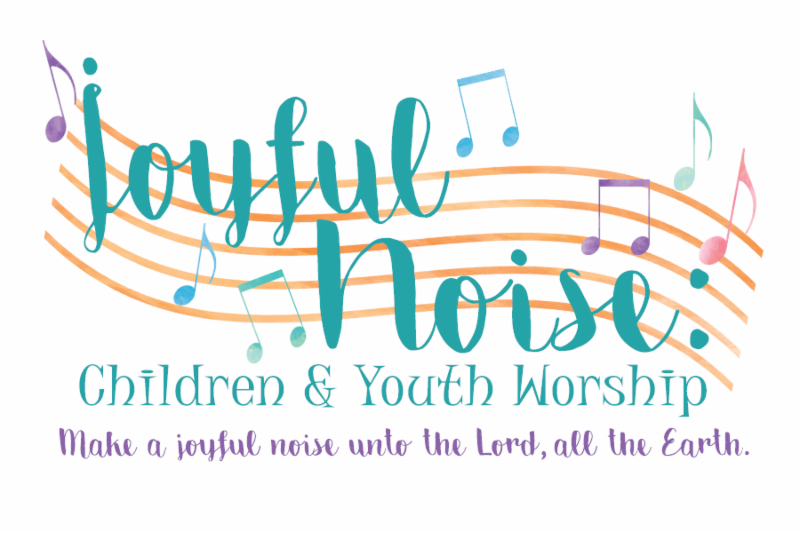 Christian Formation for all ages, including our new children’s worship service, Joyful Noise , on the second Sunday of the month, started off with a lot of energy and enthusiasm. 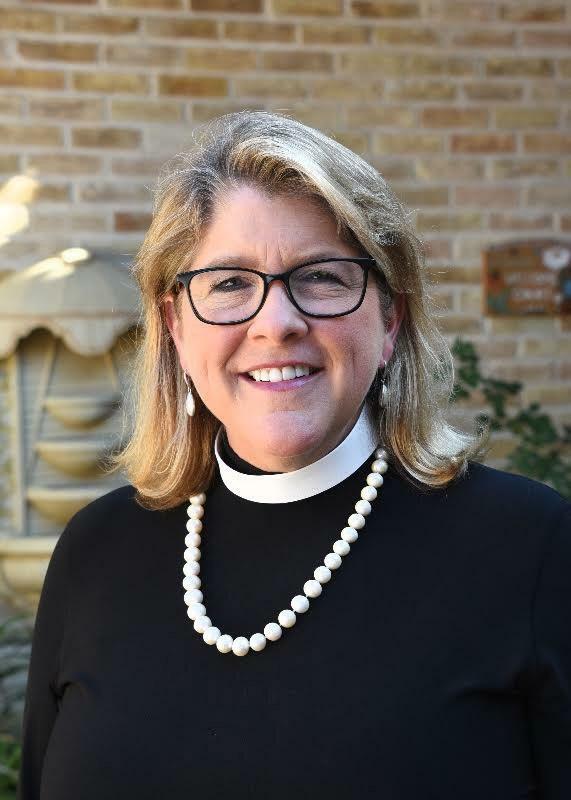 We begin our annual stewardship season on September 24 th , with Episcopal School Sunday followed by several weeks of speakers from both our church and the community who will share their understanding of what it means to be a steward. Our commitment Sunday will be October 29 th . I am very excited to share that we will soon begin Phase II of the Growing the Tradition Capital Campaign. We have raised the funds to finish out the much-needed second floor of Lillibridge Hall, complete with an elevator. Our community is growing and the need for more classrooms and meeting spaces are pressing. Before we complete this project, we first want to be good stewards and concentrate on paying off the existing debt on the initial construction project. We do not want debt to hinder our health and growth in any way. You will hear more about this in the weeks to come. I cannot begin to express how thankful and humbled I am to serve as your rector. I am filled with joy, hope, and gratitude every day as I walk alongside you doing the work Jesus gives us to do as the community that is St. David’s Church and School. We are so lucky to have St. David’s as our home. 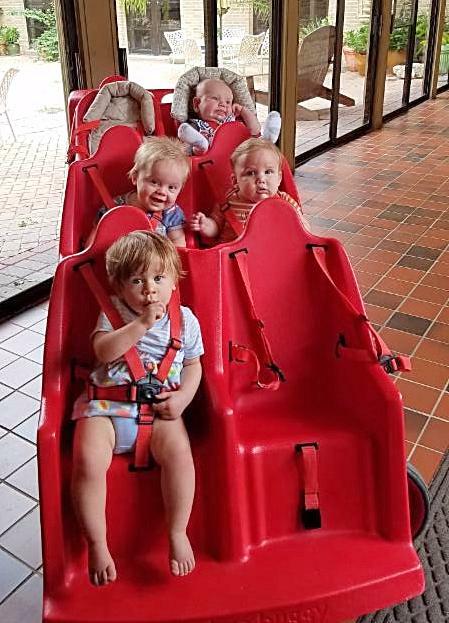 On any Sunday, young and old alike from three year-olds to 93 year-olds stream into our sanctuary to worship God and be formed to live as servants and disciples of Christ in the world. 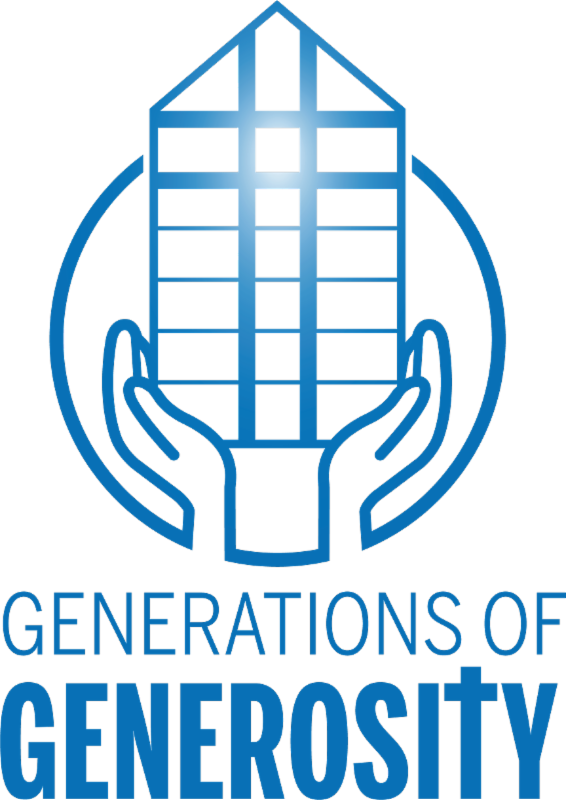 This year’s stewardship theme of “Generations of Generosity” speaks to the way St. David’s is a special place for all ages and for all of us. 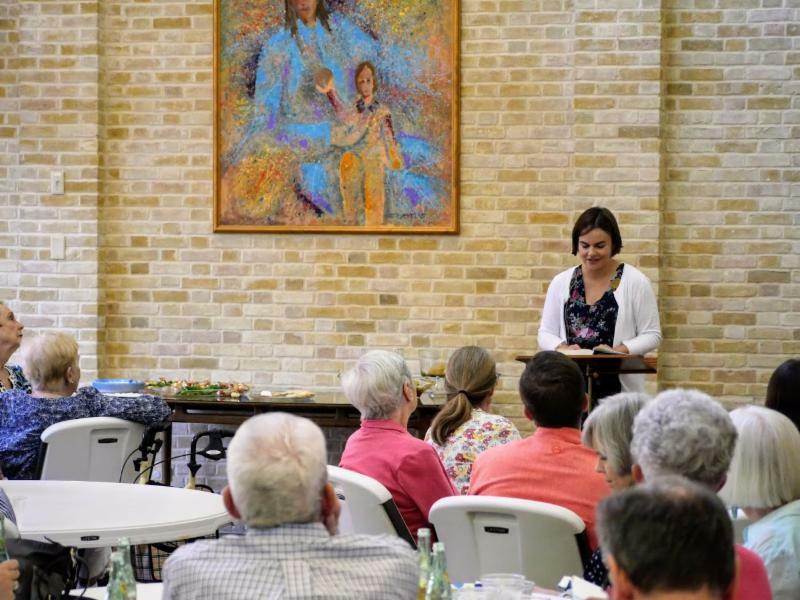 Whatever age, we all come before Christ’s table at St. David’s, and together we are fed by God’s love and mercy in this place as a community, and in return we give back to God of ourselves. The heart of stewardship is not any particular time of the year or any particular act or dollar amount. The heart of stewardship is the eternal paradox that we give to receive, that we lose ourselves to find ourselves, and that we submit to God to find true freedom. God’s love can change us, yes, but it is even more in our response to God’s love that we can be changed. It is out of gratitude that we give of ourselves in so many ways to God whether it is helping with altar guild, ushering, taking a service to Parklane, contributing to Snack Pak, or a taking meal to a shut-in. During the week, our campus is buzzing with life with all the people who come through our doors from the 200+ children and 20+ infants at the school and Bright Beginnings program (all who daily attend chapel in our sanctuary), to YOSA, to Children’s Chorus of San Antonio, recovery groups, Exceptional Adults and more. St. David’s is alive with life and the love of Christ as people both from our parish community and outside of it find sanctuary here and deepen their relationship with God. 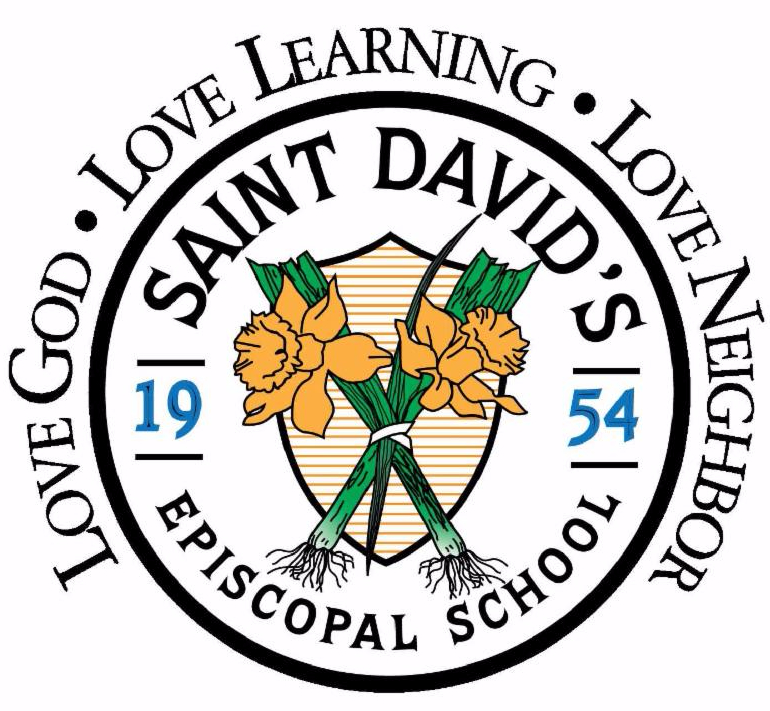 St. David’s is so lucky to be filled with this spirit of stewardship where so many of us, from all generations, support the mission of this church and show their gratitude to God through giving of themselves. In the next few weeks, we will be celebrating annual stewardship and renewing our commitment for the next year. 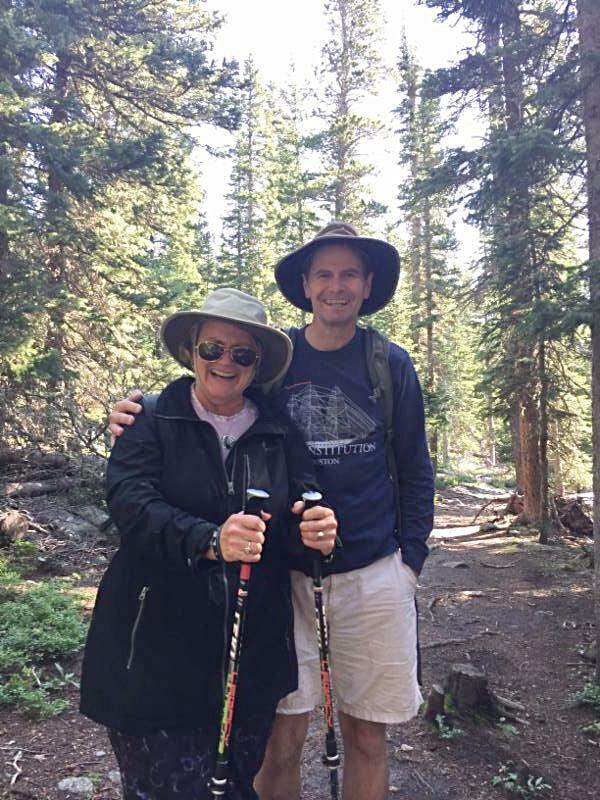 We will be inviting all of us, wherever we may be on our own stewardship journey, to imagine more - to think about how we can do more to serve God by the gift of our time and money to empower the mission and ministry of St. David’s - both here on campus and beyond. Over the next few weeks, we will hear from a number of parishioners, and one person who works at Good Samaritan Community Services, to hear about their experiences of service and discipleship. These include Pat Patterson, Kyle Grest, Emily Vanderwalle, James Willcox, and Callie Loden. 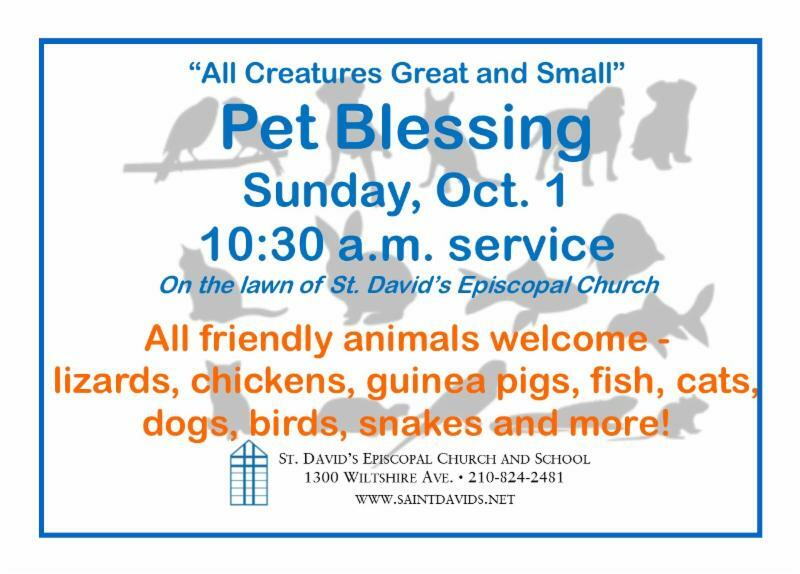 St. David’s is blessed as a place where we all, across all generations, can find ways to be generous and to serve and grow spiritually. For stewardship is not so much about an annual pledge campaign, as it is about discipleship and serving others and in so doing, growing in our relationship with Christ. Commitment Sunday will be on Oct 29 th , when we offer up our commitments for 2018 for God’s blessing. This year’s stewardship theme of “Generations of Generosity” speaks to the way St. David’s is a special place for all ages and for all of us. Whatever age, we all come before Christ’s table at St. David’s, and together we are fed by God’s love and mercy in this place as a community, and in return we give back to God of ourselves. Summer is over and fall is in the air! Children are back in school and our lives have a new rhythm. I invite you to join our brothers and sisters at St. David’s for Christian Formation classes on Sunday mornings. You have heard me ask before: Why come to Christian formation classes on Sunday mornings? Christian formation is a life-long journey and the REAL reason to come is that we have an incredible opportunity to take seriously our call as baptized Christians to be formed as disciples of Christ—to be vessels of grace where we can further God’s kingdom where we live and move and have our being. The good news is we don’t have to do this by ourselves. So, check out our fall classes below. Come and join us on Sundays at 9:15! God has knit us together and placed us in a loving community where we can support, encourage and build each other up. Just as Jesus maintained a core community, we must help to nourish our faith community here at St. David’s. 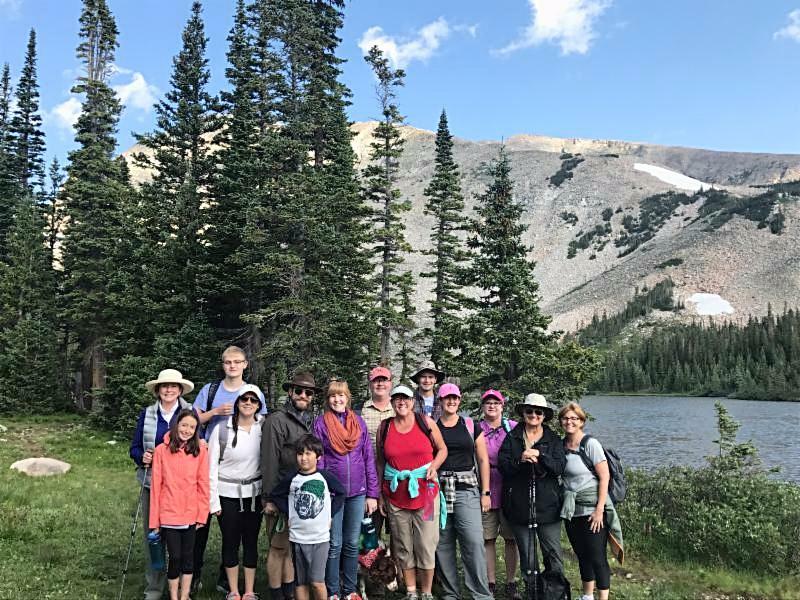 Around twenty individuals traveled and gathered together for a week of fellowship, hiking, rafting, cooking, and card games at the diocese’s mountain retreat in Ward, CO – Duncan Park. Named for a St. David’s parishioner, Duncan Park’s charm and solitude invites all its guests to experience the presence of God by facilitating deeper connections with the natural world and each other. 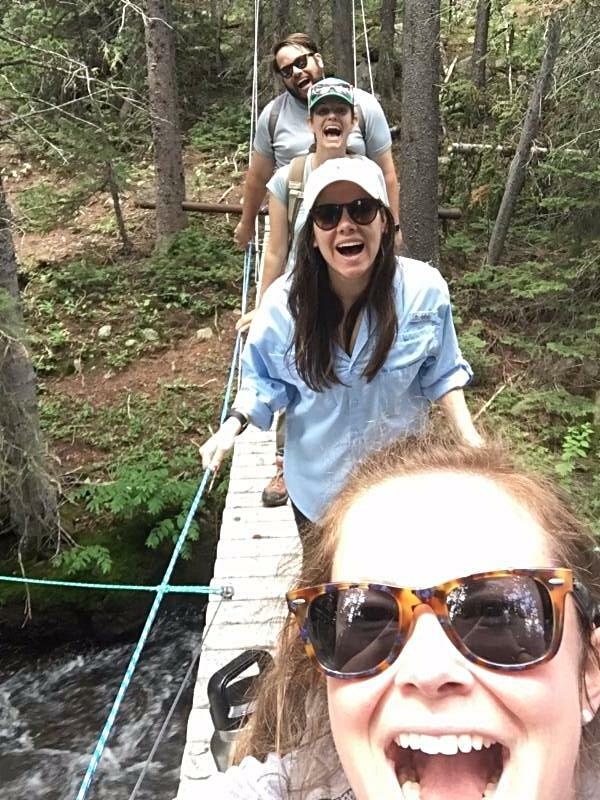 Being secluded among creeks, trees, and mountain trails enabled the group to “unplug” from the myriad distractions of modern life and be present with one another in laughter, prayer, and appreciation of God’s creation. This summer, our sanctuary transformed into a vibrant, colorful factory where over 75 volunteers and 210 children ages 2nd -5th grade came to explore how God loves us and is with us during Vacation Bible School with the theme “Maker Fun Factory.” VBS happened to fall in the middle of construction of the school classrooms, but that did not stop us from adding more groups and reaching more members of our community than ever! It was one of our smoothest weeks of Vacation Bible School to date. I was personally blown away with the generosity and creativity shown by the participants and their families. ﻿We collected a daily offering for our mission trip to Haiti which was the following week, and we raised over $300! Most of this was in the form of spare change. Some families even decided to get together and host lemonade stands, donating the proceeds towards our offering collection. What a powerful witness and example of our community supporting our brothers and sisters in Christ! 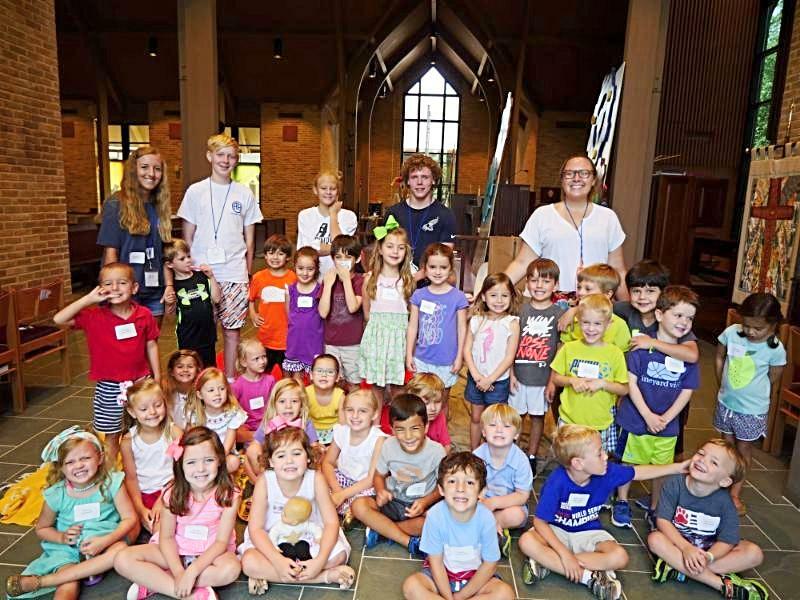 Each day during VBS, the kids learned a different Bible point, a short and memorable statement that was reinforced throughout the day in our large group meetings, music, Bible drama, theater, games, and crafts. We started our week with the theme “God made you,” a perfect introduction into our factory filled with robots, gears, and a Lego wall. The rest of the week, we learned that God is for us, God is always with us, and God will always love us. We finished with our last Bible point – God made you for a reason, which fills us with hope when we begin to doubt ourselves or wonder who God is calling us to be. What great reminders for all of us (and the songs are still stuck in my head three months later, so these points have really stuck). Thank you so much to all of our volunteers and church family who helped us host another successful year of VBS; we really could not do it without you! 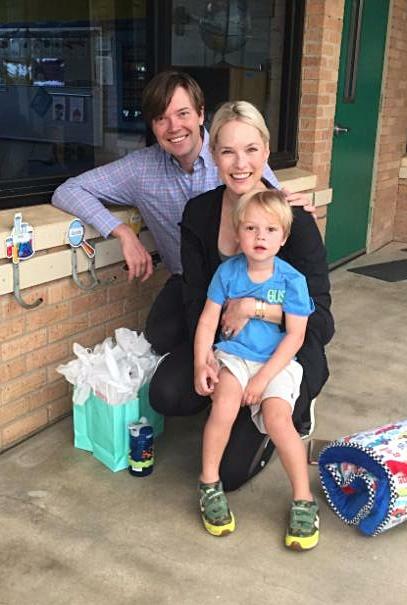 We have seen some wonderful changes come to our sweet Bright Beginnings program this year. Bright Beginnings is in its third year and one of the biggest changes is we no longer offer a half day option. We have also been working hard to improve our playground by creating a safe play space for our non-walking infants. This new space includes rubber playground flooring with a fence around it. Our fundraising efforts this year will work towards continuing to make improvements to our playground and classrooms. Some of these improvements include classroom equipment and a much-needed shade canopy for the Bright Beginnings playground. If you are asking yourself how you can support the St. David’s Bright Beginnings Program, there are many ways. One of the ways is by participating in our various fundraisers such as Pumpkin Sales , Tamales, the Christmas Tree partnership with Catalani produce and the Love Offering Scholarship Fund. These fundraising efforts help to support our program by providing needed funds to purchase equipment and provide scholarships. 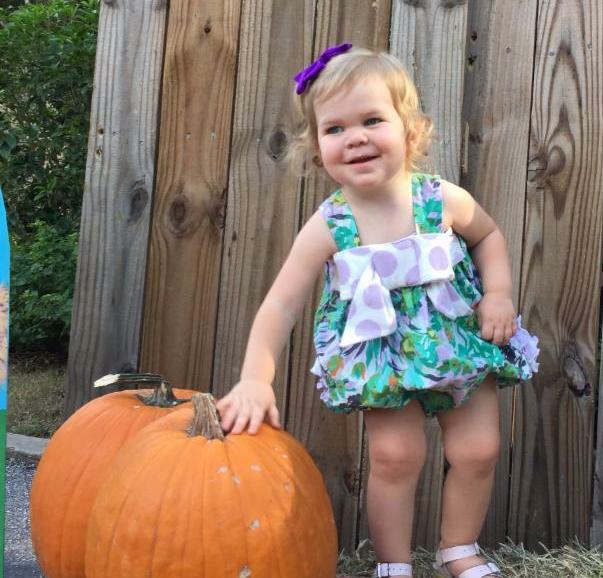 Bright Beginnings is hosting a pumpkin sale. Please join us in raising funds for our infant program while celebrating fall. Simply pre-order your fall family pumpkins and volunteers will load them into your car on Tues. & Wed., Oct. 10-11. All pumpkins are $7, medium size, and perfect for carving or looking pretty on your front porch. Orders accepted Sept. 18-Oct. 6. Also, a teacher of mine once encouraged me to watch and listen to others, and to borrow things that I like, and figure out why I don’t like the things I don’t. Visiting Salisbury and Durham gave me this opportunity, that we’ll all get to experience in the near future. In English cathedrals, the Eucharist service works a bit differently than it does in the Episcopal Church. Many parts of the service where we have congregational singing (especially service music like the Gloria and Sanctus) are sung by the choir only in elaborate settings in English cathedrals. However, in English cathedrals there are routinely other opportunities for congregational singing. For example, the Gospel responses (when we say “Glory to You, O Christ” after the Gospel reading is introduced) is routinely sung in English cathedrals. In the near future, we’re going to start using some of those settings at St. David’s. 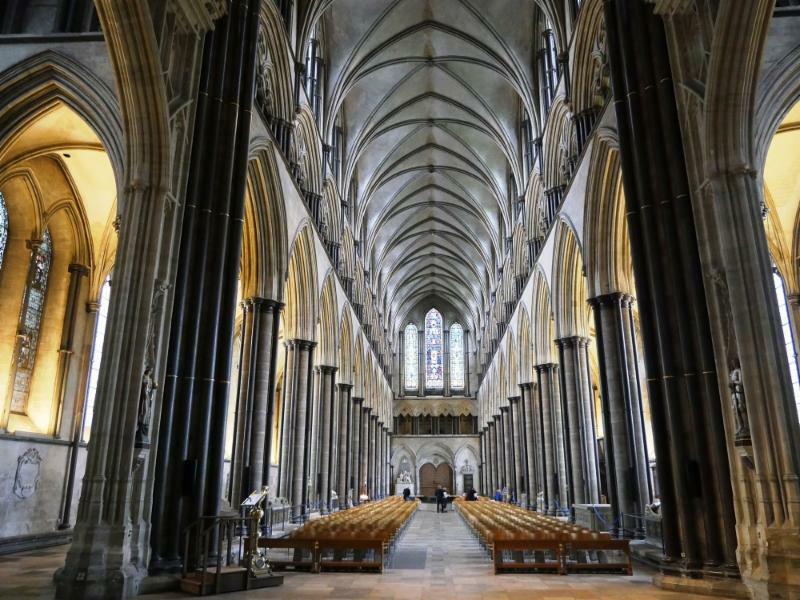 Next March our Pillars of Anglicanism pilgrimage will be spending three nights in Salisbury, while we visit Salisbury cathedral and nearby cathedrals in Winchester and Wells. While I was in Salisbury, I did many things to make our visit there more rewarding. My family and I took almost all of the tours offered at the cathedral, so that I have a better idea of the best tour options for the pilgrimage. I am also now in the process of revisiting, with our travel agent—who sings in the choir of All Saints’ Church in Beverly Hills (which visited Salisbury and Wells cathedrals this summer)—lodging choices in Salisbury. If you are still interested in participating in this pilgrimage, please talk to me for more information or to reserve one of the very few remaining spots. “Thank you for sharing your story yesterday. 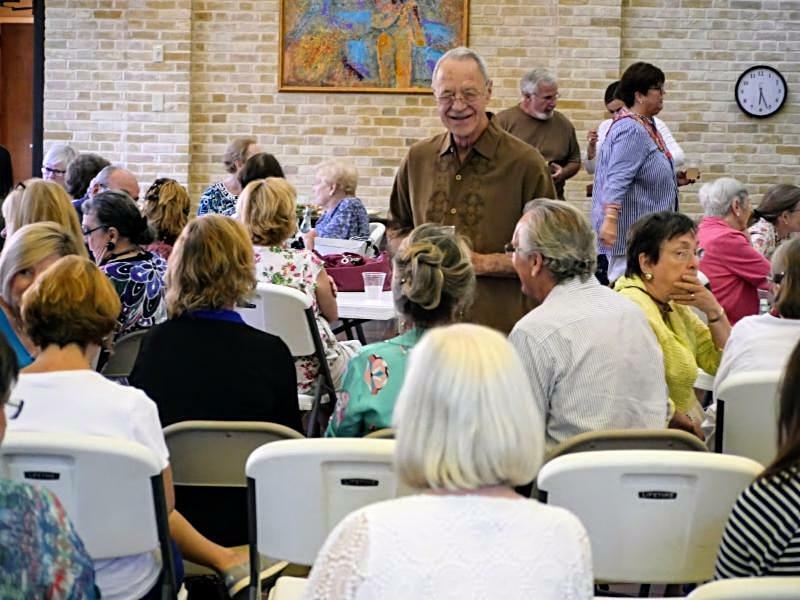 Open Table began at St. David’s in 2013 with 2 tables – one for a young woman and one for a young man, both having aged out of the foster care system. The tables are made up of church members and a high risk young adult, referred from a local agency, who wants a better life and to reach their goals but due to circumstances like poverty, aging out of foster care, single motherhood, and other situations, can benefit from a group of people to help them reach their goals. When the table members and the Sister or Brother come together, they have Breaking of the Bread, which is a celebration of the start of the journey. Table members tell the Sister/Brother why they have chosen to spend the year with the table. The following week, the Sister/Brother tells about themselves, which is called Life Story. These two weeks start the beginning of a trusting relationship for everyone involved. Life Plan follows with the Sister/Brother setting goals and dreaming of what the next year could look like. Weekly one hour meetings begin and each table has stories to tell of highs and lows, and of transformation. A big thank you to Mikel Brightman who brought Open Table to St. David’s in 2013. The new St. David’s Leadership Mission Team is: Catherine Lillibridge, Mission Leader; Lee Grest, Administrator; and Leslie Mixson, Table Recruiter. St. David’s has had several tables and more will form as people say yes to be table members. There are opportunities to serve veterans, Juvenile Probation young adults and PEARLS Court former foster girls. Below is a list of Open Table members who are glad to share their story. If you have questions and want an application, please contact Catherine Lillibridge at catherinelillibridge@theopentable.org 210-363-6458. 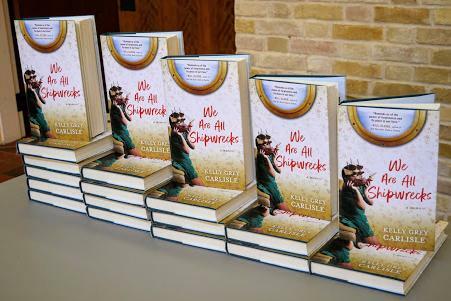 Sarah Kates, Mercedes Zamudio, Bill Sommers, Catherine Lillibridge, Joseph Ebbecke, Mikel Brightman, Patsy McGaughy, Melissa Watkins, Molly Burke, Marian Ison, Gay Jehle, Tommy Funk, Bob Hodnett, Lisa Mason, Amy Lillibridge, Jennifer Whately, Marjorie George, Carol Westerkom, KC Holland, Yvonne Garcia, Enomie Rosenthal, Mallory Boyle, Lee Grest, Pat and Ivonne Patterson, Carol Hester, Pat Bose, Amy Rhodes, Dawn Bridwell, Molly Amini, and Elizabeth Neally, Lauren Wert, Paul Pineda, Pam Priour, Dana Sommers. I'm truly blessed that I was able to have this opportunity with Open Table. Each and every lovely lady has made me a better person in so many ways. I do wish that everyone could have their own table and experience the same blessing I have with the group of amazing women. I am so grateful that God brought me together with the table. 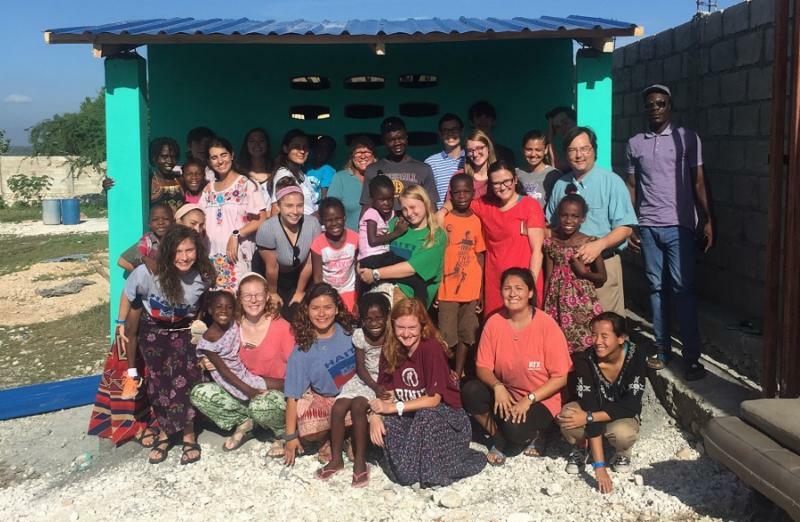 Matthew 28:19 says “Therefore go and make disciples of all nations,” and this is what our team of twenty three members attempted to do on our six day mission to Haiti this past July. I am so blessed that we got to spend a week at Living Water Haiti Ministries surrounded by the most loving, God-filled, and giving people I have ever met. Throughout our week we learned about what it means to be a Haitian and the pride that comes with that. We got the opportunity to assist in building a home for a LWHM staff member named John and worked on the bathrooms for the school. While the mornings filled with carrying buckets of cement in the Haitian sun seemed grueling at times, it all became worth it seeing John's face light up when his house was complete. We heard about all the plans for the future of LWHM, which include having separate houses for the boys and girls, a building for their own church, and opening their school publicly to all the children nearby. The news of the public school is amazing as free education is nearly unheard of in Haiti! We had the chance to serve food to children on Goat Mountain, an area near the ministry’s property, where many of the children do not receive meals regularly and are often malnourished. 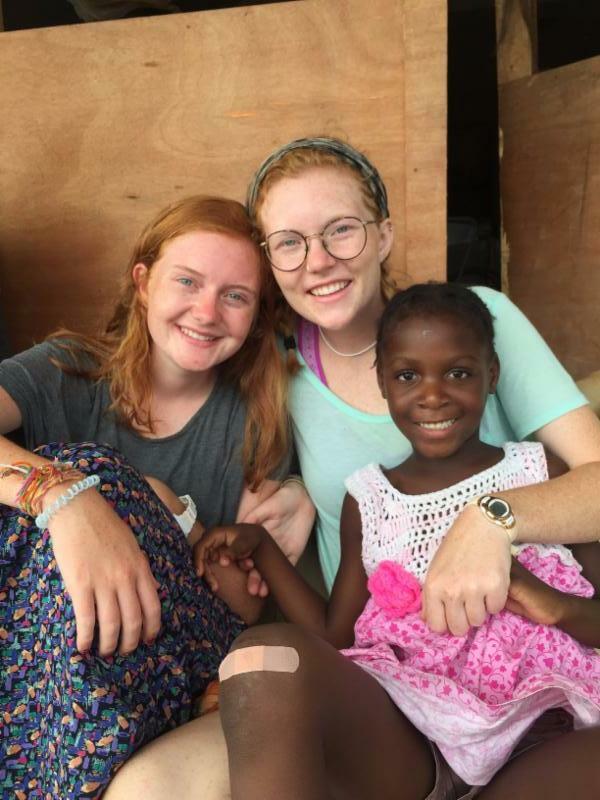 Our time in Haiti has changed each of our lives in different ways. Spending time in a country that has faced so many challenges beyond their control and seeing how the people continue to live their lives working for a better tomorrow is inspiring. We saw the lasting effects that LWHM has had on the community and, most importantly, the lives of the 16 children they took in and have given a safe place to grow up, receive an education, and find their passions. Hearing the stories about how each child ended up at LWHM was something that made it clear that God lead them there for a better life. 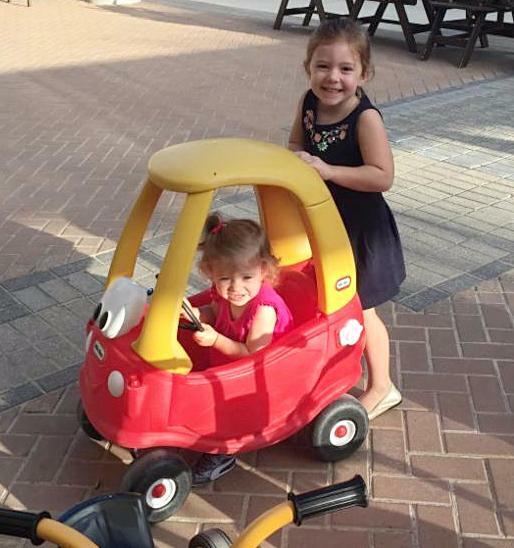 I think by the end of the trip we unanimously agreed that our favorite part was just being with the kids. We learned that you don’t need video games and cell phones to have fun, we just need each other and someone to shout out colors for a game of “koulè, koulè”. We built relationships with each other, the kids, and the family that started LWHM that will continue for years to come. While you can only do so much in a week, the things we did accomplish will have an impact that will last so much longer. 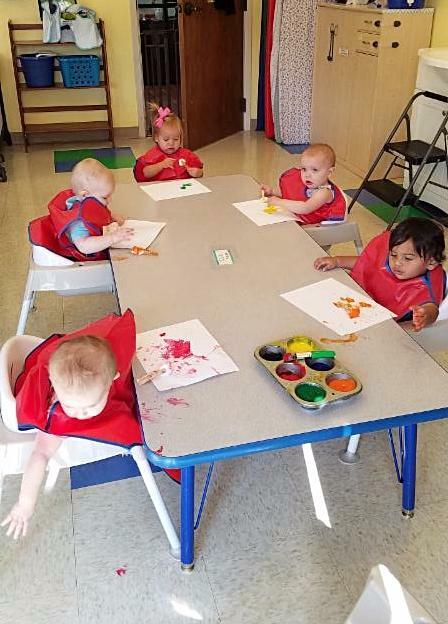 At St. David’s Episcopal School our 2017-18 school year theme is ‘Coloring Our World Beautiful!’ We welcomed 207 children through our doors this fall and things have been in full swing ever since! 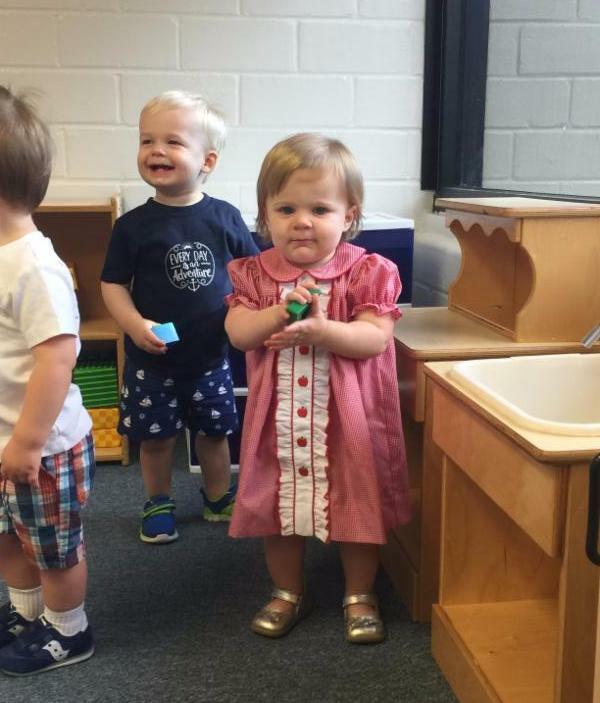 These precious little ones are busy learning to love God, love learning, and love their neighbor. 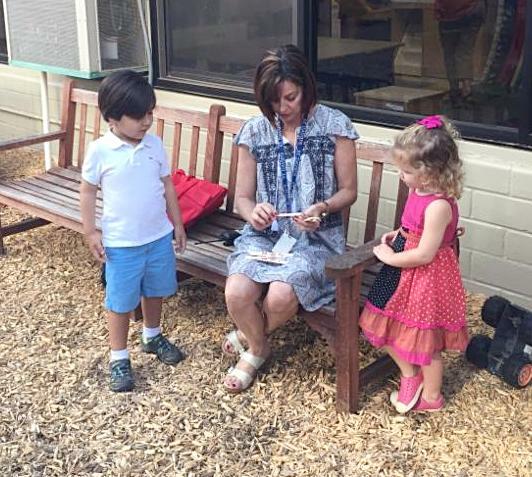 Through chapel, intentional play, classroom lessons, Godly Play, courtyard and playground time, and much more the students at St. David’s School are moving forward at a pace tailored to their needs. 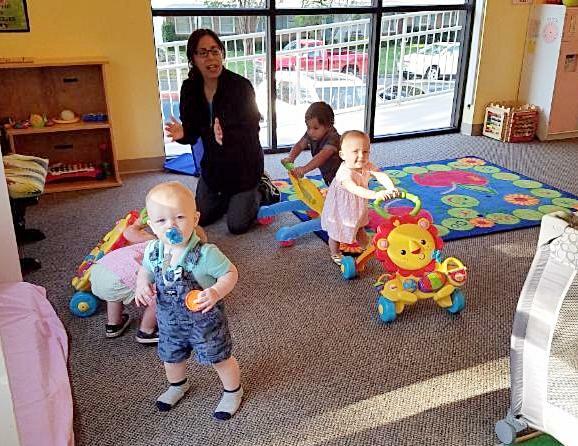 The first few days of tears (both for the little ones and their parents) have begun to dry and now we hear eager questions, busy chatter, and lots of laughter. Thanks to the generosity and gifts of our many supporters, our students are enjoying a new shade structure and playground piece on our large playground. Our youngest students now have a playground of their own and are loving having a nice large space to run, dig, drive toy trucks around, and play in their fun, new playhouse. We are looking forward to much this fall season! 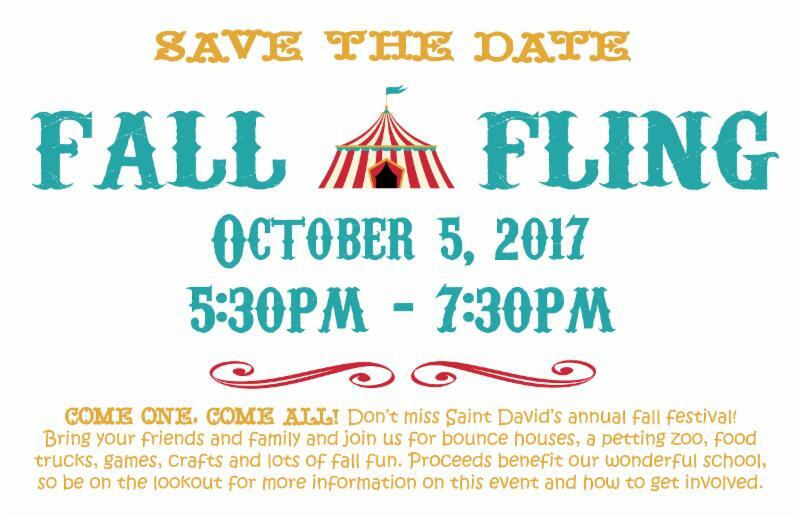 On Thursday, October 5, St. David's hosts Fall Fling- a family oriented fall festival. Please join us and bring all of your family and friends along with you! Early November brings an opportunity to give thanks and spend time together at our annual Thanksgiving Feasts and chapel service on November 7-9. Before we know it the holidays will be upon us! "First of all, I want to thank you so much for being here. You have no idea what it means, as a writer to see all of you here. This book took me more than ten years to write and revise - in the midst of doing other things like getting a PhD, working full-time, and having a family. But, ten or twelve years of your life on a project that you don’t even know is going to get published is an incredibly isolating and stressful endeavor. And so, to get to be here with people I know and love, people I share a faith with, people I share a job with, people I share friendship with, is just really amazing, and you have no idea how much you’ve made my life. This is a big thing on my bucket list I can cross off now, so thank you so much! Pictoral Directory Photos Start This Week! 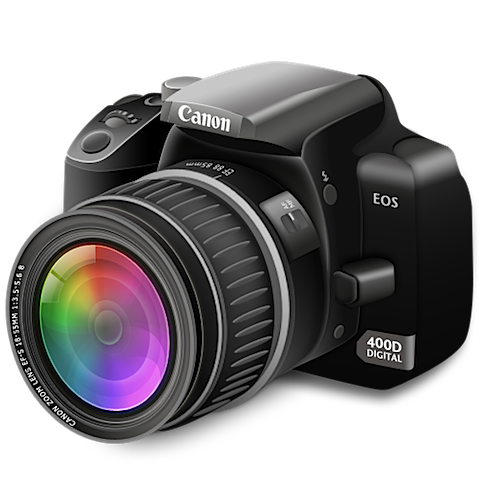 Sunday, October 1 (Pet Blessings) from 8:45 a.m. - 1:00 p.m.
Sunday, October 8 from 8:45 a.m. - 1:00 p.m.
You will have an opportunity to purchase the photos online.